Misc: + Pyrithione zinc. New. Nourishes & soothes itchy, dry scalp. For smooth, less frizzy hair. Flake free (no visible flakes with regular use) + conditioning. The solution that nourishes the scalp and relieves it from irritation. 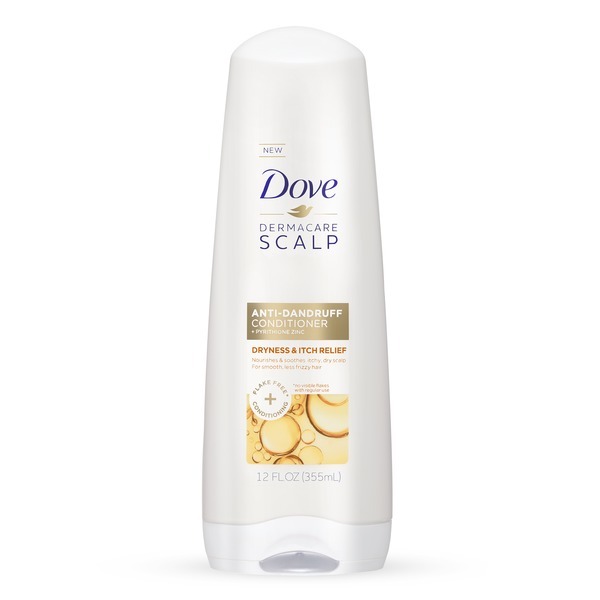 Leaves hair flake free (No visible flakes with regular use). Hydrates dry scalp. Soothes itchy scalp. Reduces redness. Coconut & shea butter indulgent scent. Gentle enough to be used everyday. Bottle coded for recycling. Uses: Helps prevent and control recurrence of itching, flaking and irritation associated with dandruff. DirectionsFor best results use at least twice per week or as directed by a doctor. After shampooing, massage into scalp and hair. Rinse.